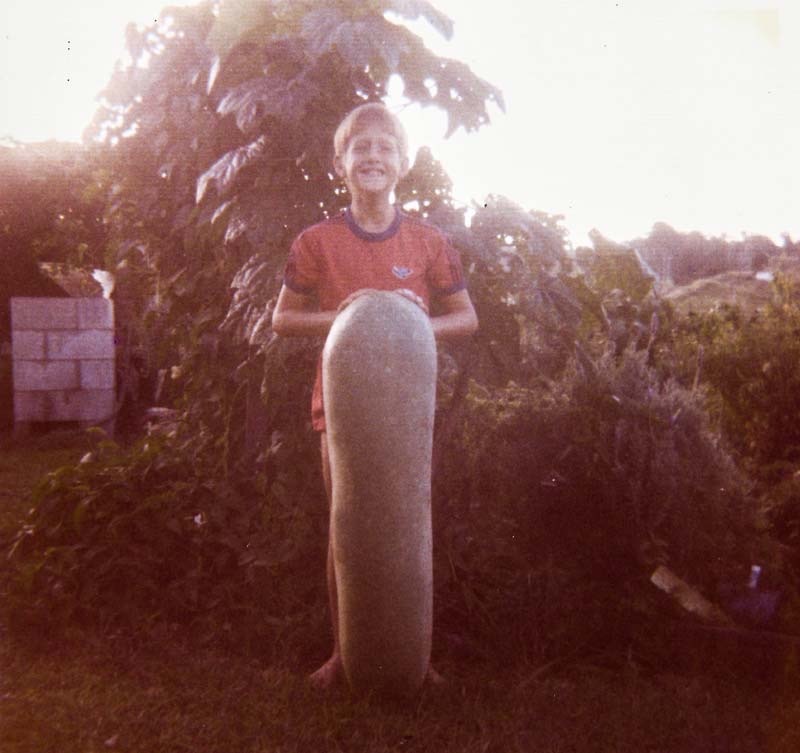 Isabell’s parents were self sufficient gardeners in South Australia, and so growing her own food was a practical way of life right from the beginning. As a young girl she would help her parents with the planting and then the harvesting of the fruit and vegetables. In 1978 Isabell’s love for herbs began as she started to read about them and their special properties. 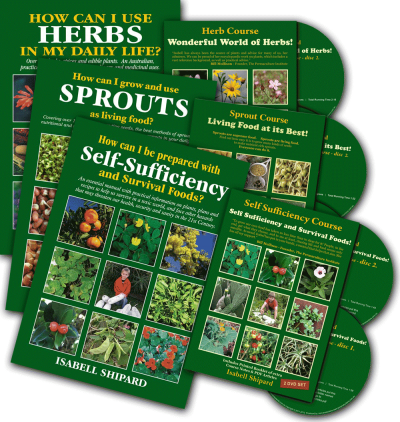 In 1980 Isabell Shipard and her husband Derrick and three children moved on to a 20 acre farm in Nambour on the Sunshine Coast, Queensland, with the aim of becoming as self sufficient as possible and to encourage others. It was not long before the farm was producing in abundance. 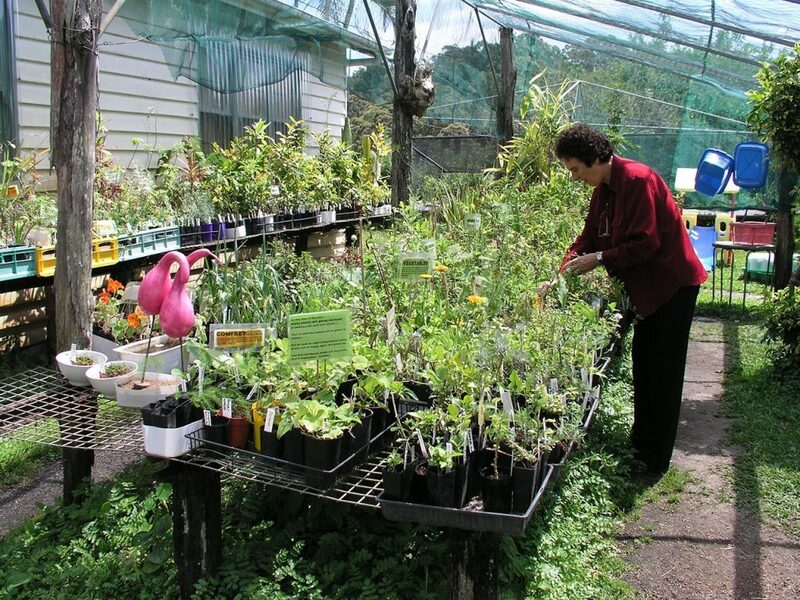 With the knowledge from courses on herbs she had undertaken, her ever-expanding library of plant books (now in the hundreds), and her first-hand experience of growing and using many herbs and plants, Isabell and Derrick would hold farm walks and teach courses on herbs to many hundreds of enthusiastic people each year who came from all over Australia. Isabell was constantly reading and researching about the properties and uses of the herbs she grew, and always searching for new and rare exotic plants. She would then write up her research into short articles as notes for her courses and farm walks at ‘Shipards Herb Farm’. 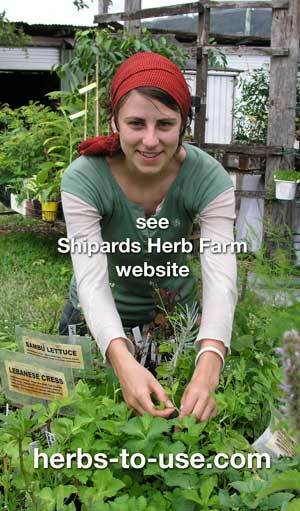 Shipards Herb Farm propagated, grew and sold their herbs locally on the Sunshine Coast. 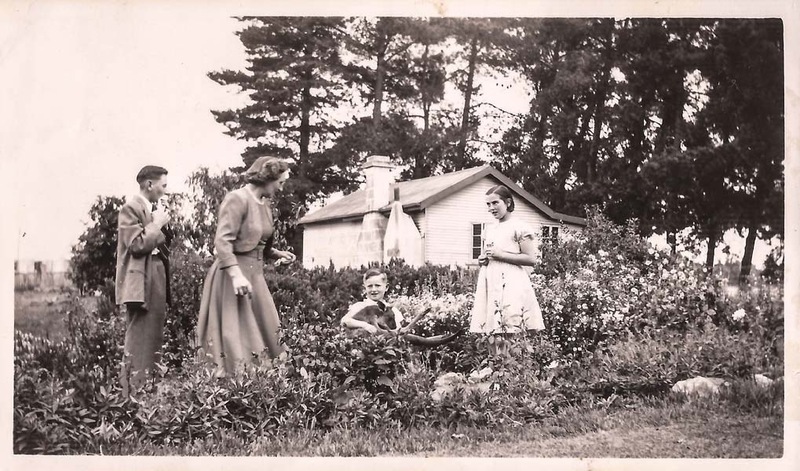 But their large collection of culinary and medicinal herbs, spices, fruit trees, rare edibles and seed varieties were soon sought after by gardeners throughout Australia and internationally. They have supplied herbs for cooking demonstration by The Naked Chef, Jamie Oliver, and displays for international expos. 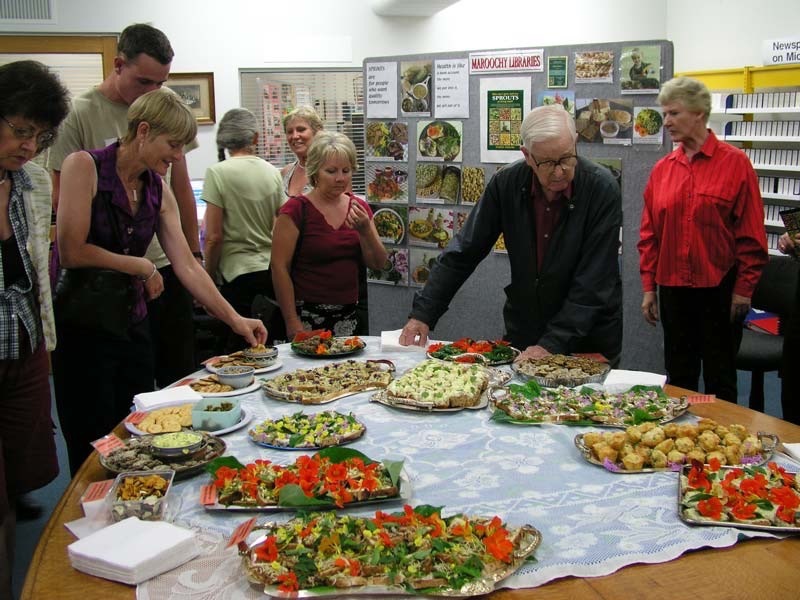 For over 10 years Isabell was a guest on ABC radio Coast FM for the popular segment, Herb of the Week. Isabell has assisted universities and botanical gardens in sourcing plants for display and research. 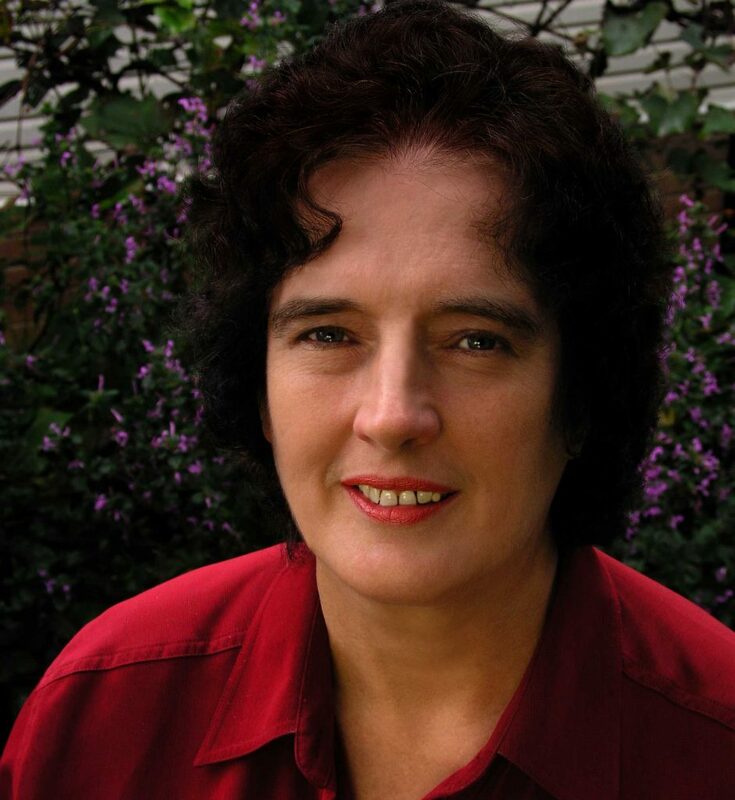 Isabell Shipard and the farm has been featured on numerous TV programs, including Gardening Australia, The Great South East, and Totally Wild. 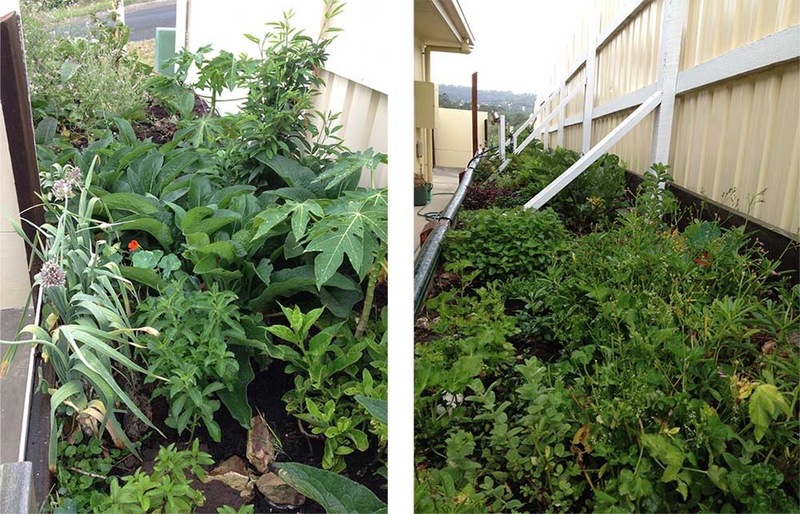 With Isabell’s experience and knowledge of growing and using herbs as culinary delights, alternative medicines and herbal remedies, she went on to teach courses at the Sunshine Coast TAFE, and other areas in Queensland, and has often been asked to speak at schools, herb and garden clubs, permaculture and organic growers’ groups, expos and organisations interested in natural health. After taking her courses and hearing her talk, many people commented that they would love to have her knowledge in a book that they could return to time and time again. And so in 1998, with nearly 20 years of knowledge and experience, Isabell started to write her first book. It turned out to be an epic task that would consume her energy and time for the next 5 years. 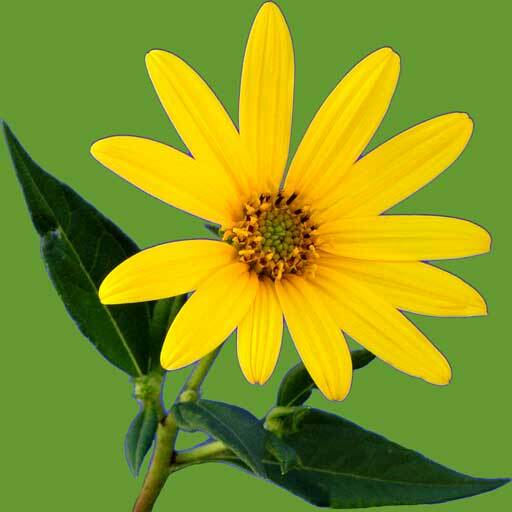 How can I use Herbs in my daily life? was published in 2003 and the response from grateful and delighted readers was overwhelming. 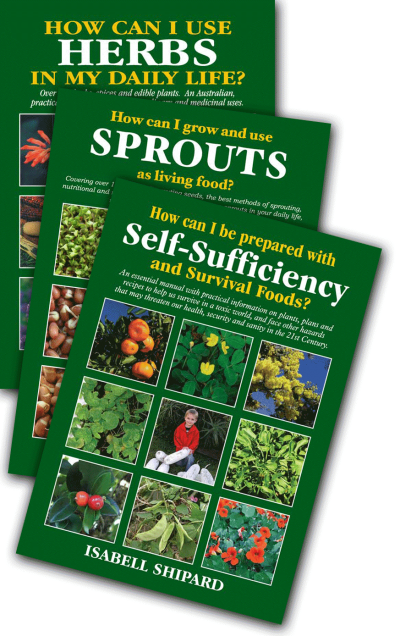 Isabell then promptly went on to write two more books How can I grow and use Sprouts as living food? 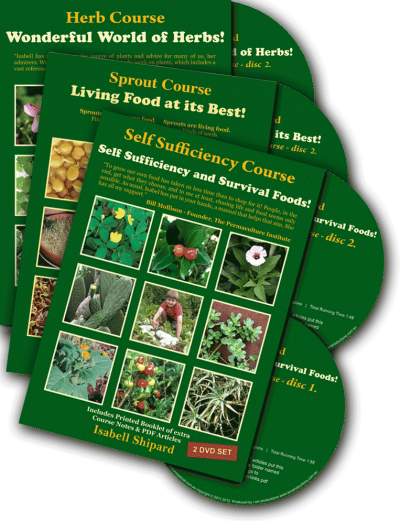 published in 2005 and then How can I be prepared with Self-Sufficiency and Survival Foods? published in 2008. She also produced DVDs of her courses for people who could not attend. For over 30 years, Isabell and her husband Derrick lived and worked on their picturesque farm in Queensland. But after a few years of handover to Angela and David (daughter and son-in-law) this was the end of an era. In 2014 Isabell celebrated her 70th birthday with family. 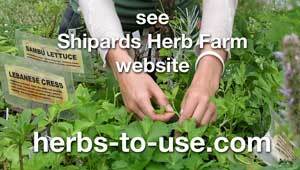 Shipards Herb Farm is now manage and run by Angela and David Stewart. You can find out more at their website.